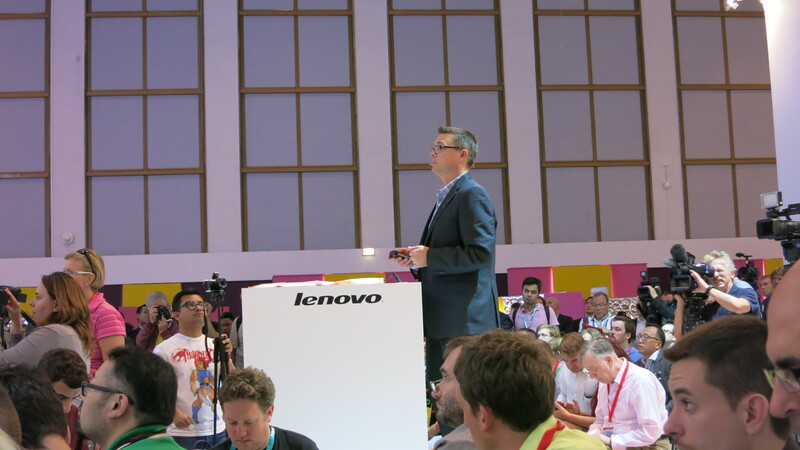 Today we were fortunate enough to be guests at Lenovo’s IFA 2014 keynote. 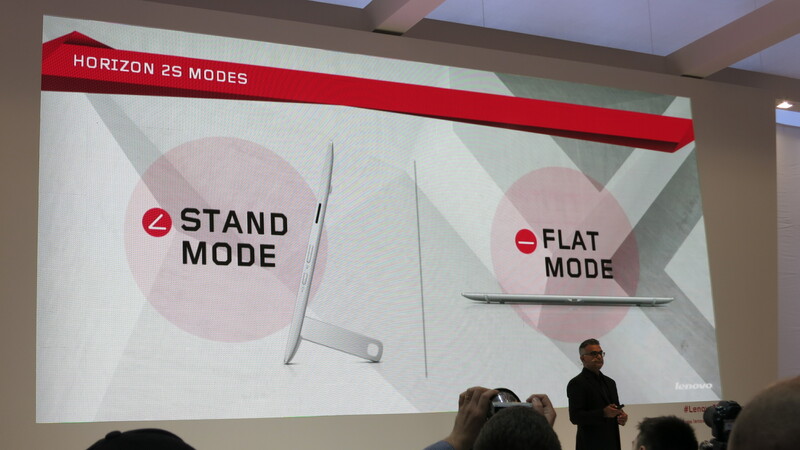 Lenovo are probably best known in the UK for their laptops, but they do have a tablet range that is growing in stature here and a large phone range outside the UK. The press conference was hosted and kicked off Aymar De Lencquesaing, President of Lenovo EMEA and SVP in the Lenovo group. It has been a year of milestones for Lenovo. In the PC business they have been overall number 1 for 12 months running (number 1 in 15 individual countries), and the gap to second place is growing, as Lenovo has nearly 20% market share. Rumours of the death of the PC have been greatly exaggerated and there is still perceived growth in the $200bn market opportunity. 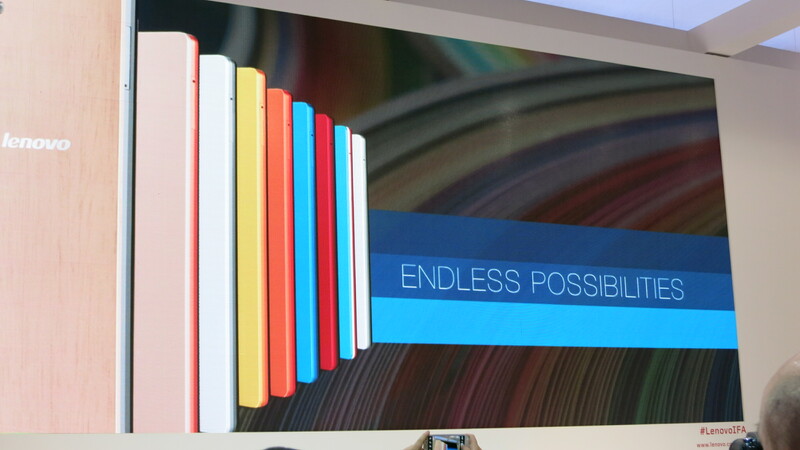 But as we said, Lenovo isn’t just about the PC market, they actually now ship more tablets and smartphones than PCs. Lenovo is number 3 in the worldwide tablet market and number 4 in the smartphone market, although they will get a bump to 3rd place when the Motorola acquisition completes. 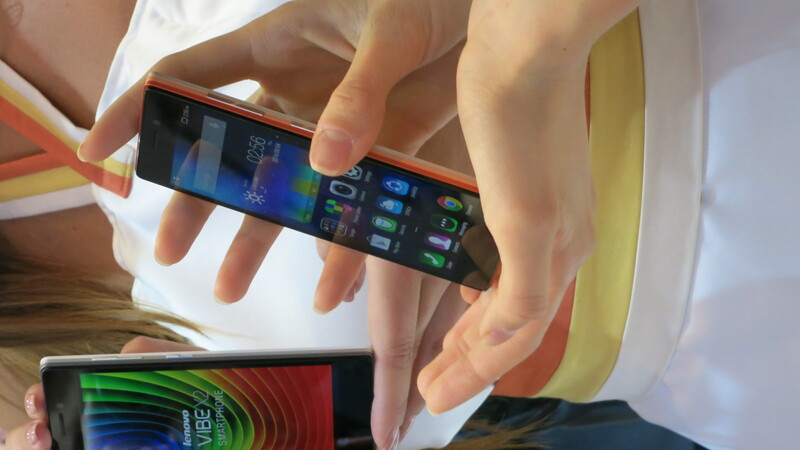 Lenovo’s phone strategy within EMEA has specifically targeted emerging markets. They are the fastest growing mobile brand, in China they were #2 for 8 consecutive quarters, hitting number 1 in Q2 2014. As a company, Lenovo have very solid financials, with record profits and revenue in the last quarter. In EMEA revenues have increased 50% in the last quarter year on year, but as mentioned, Lenovo is changing. They are acquiring IBM System X as well as Motorola, moves that are set to close by the end of the calendar year. Of course, we are all excited about the acquisition possibilities but Lenovo can’t discuss anything with regards to strategy until it completes. With that said, the stated aim is to be number 1 in all the business in which they operate. 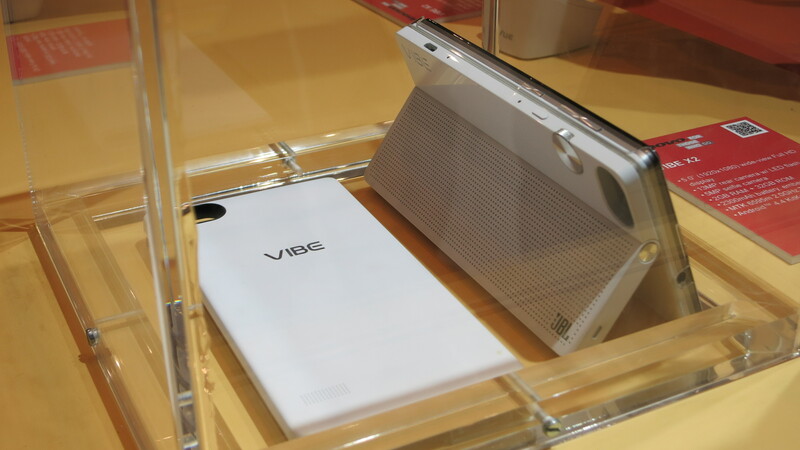 Lenovo announced 2 Smartphone devices at the IFA event, both in the existing VIBE range. 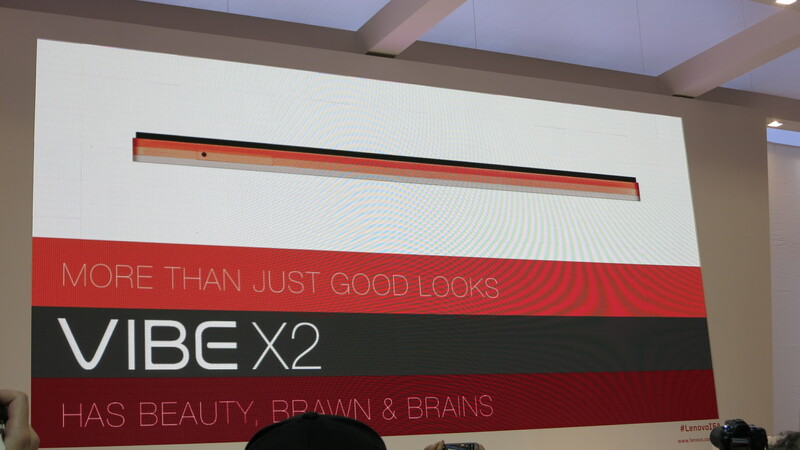 Jeff Meredith, head of marketing in the mobile business group, introduced the Vibe X2 and Vibe Z2, which will take their place in the range alongside the previously announced Z2 Pro. With a European RRP of €399, the Z2 was introduced first. 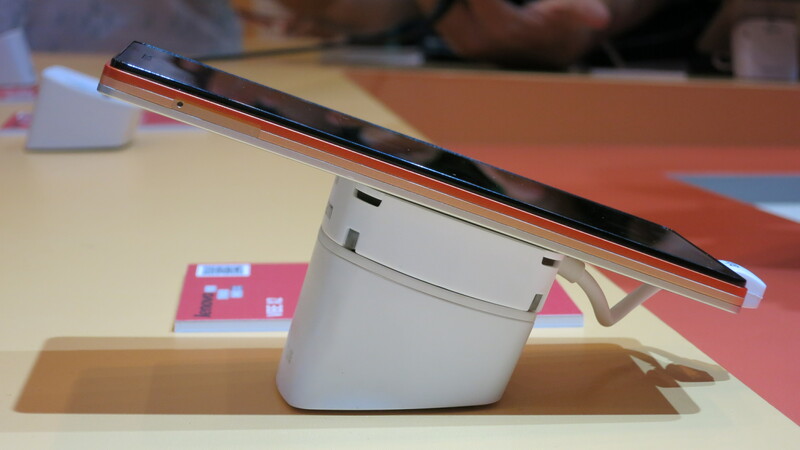 It’s a phablet, on trend with the moves to a 5.5” screen, running Android 4.4 KitKat on top of Qualcomm quad core snapdragon (410 perhaps?) silicon. With a 13 Megapixel camera with OIS and an 8 Megapixel front camera, it should be particularly strong in the imaging department. At 158g and 7.8mm thin, it’s a pretty appealing device visually, is good to hold and feels well constructed. 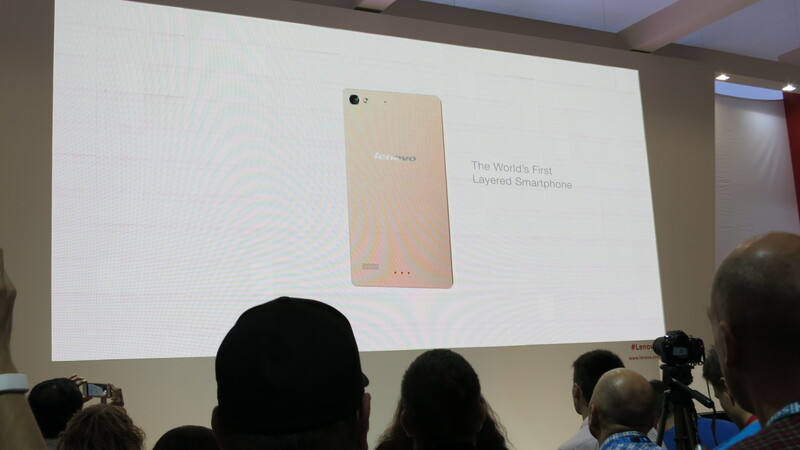 The real event fanfare was saved for the X2 however, priced at €429 and touted as the ‘world’s first layered smartphone’. It is constructed with 3 coloured original layers and will be available in 5 colours – charcoal, gold, white, red, bamboo, with endless colour possibilities and new ‘X2 originals’ designs planned going forward. 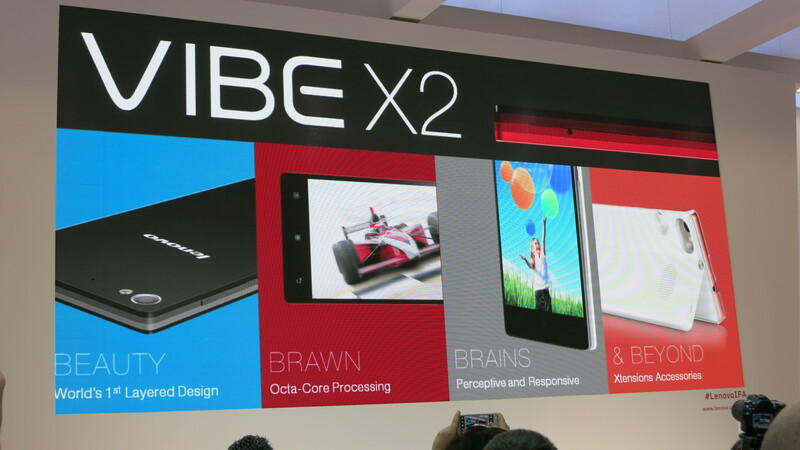 The X2 packs a Mediatek True8Core LTE MTK6595, which Lenovo claim is the world’s first true Octa-Core processor. 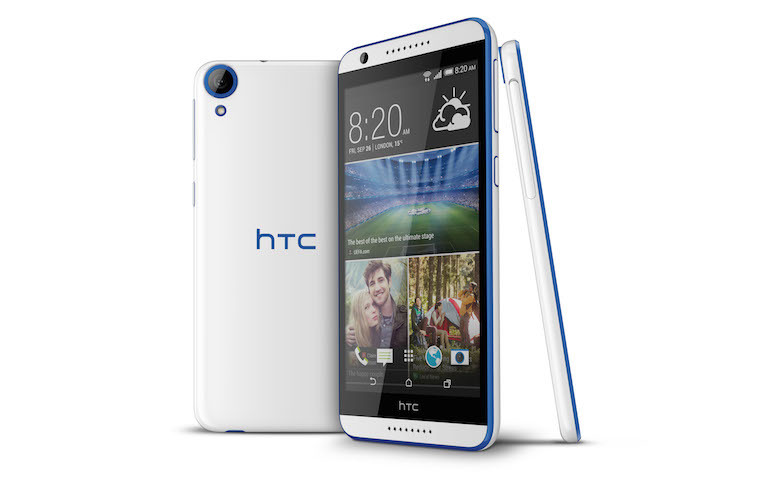 It too runs Kitkat but with a full HD 5″ screen. It weights 120g and is 7.27mm thin, with 13 Megapixel primary and 5 Megapixel secondary cameras. LTE is onboard, a must for the target market for the device. 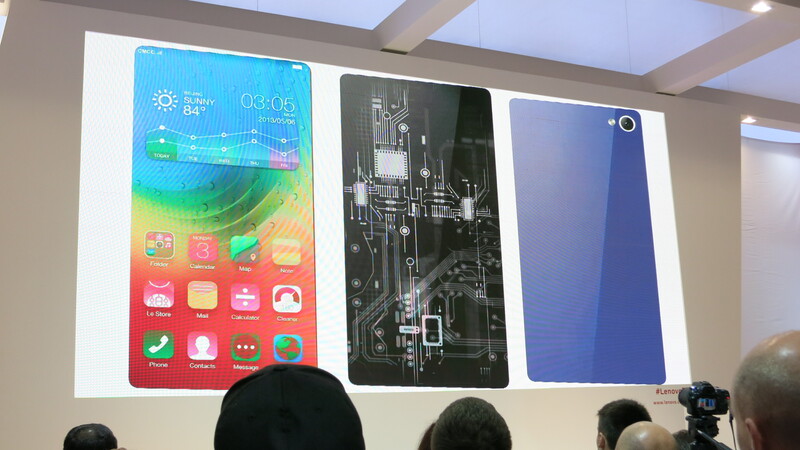 As well as the ‘3 layers’ in the device already, ‘Vibe Extensions’ are additional accessories in the same style. 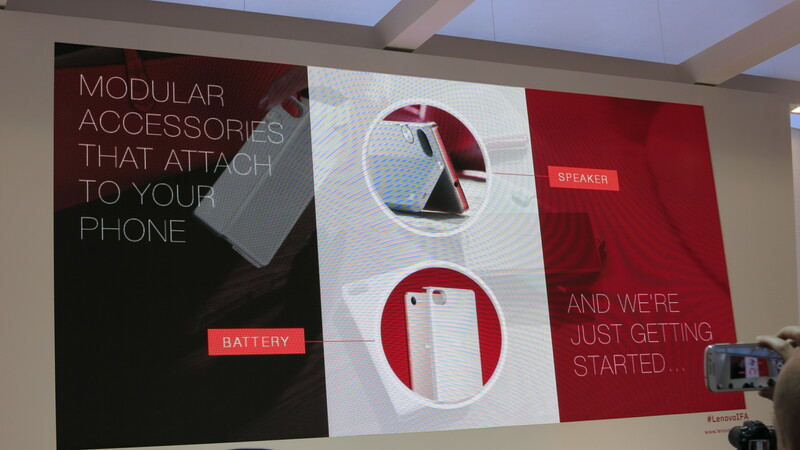 A battery extensions adds 75% more power and a speaker layer developed with JBL also includes a useful kickstand. 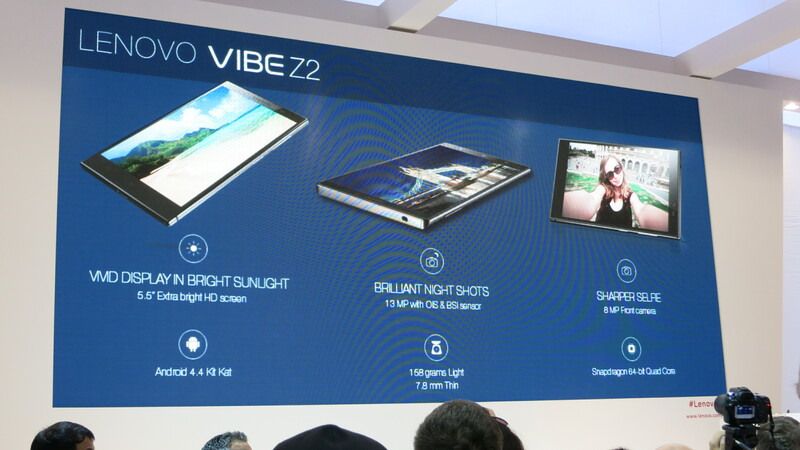 On top of Android 4.4 sits Lenovo’s Vibe 2.0 software layer, with emphasis on user friendliness and software enhancements such as the ubiquitous selfie and beauty shot modes. Obviously. Mobile done, Dilip Bhatia, VP of Marketing and Design, PC group, came on stage to introduce some new PC hardware. 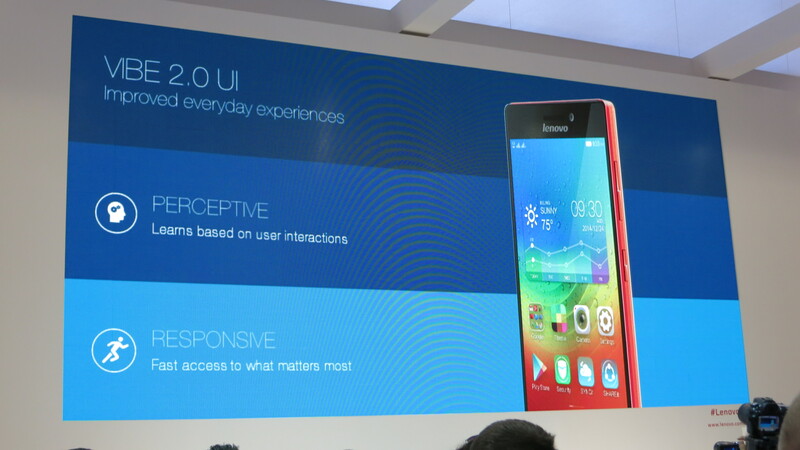 “Lenovo has a fundamental belief that technology should adapt to the user. We observed how families behaved at home to help shape their products.” he told us, before introducing the Lenovo Horizon 2S, a 19.5” two in one tabletop PC. It can function in an all in one mode as well as a lay-flat mode. 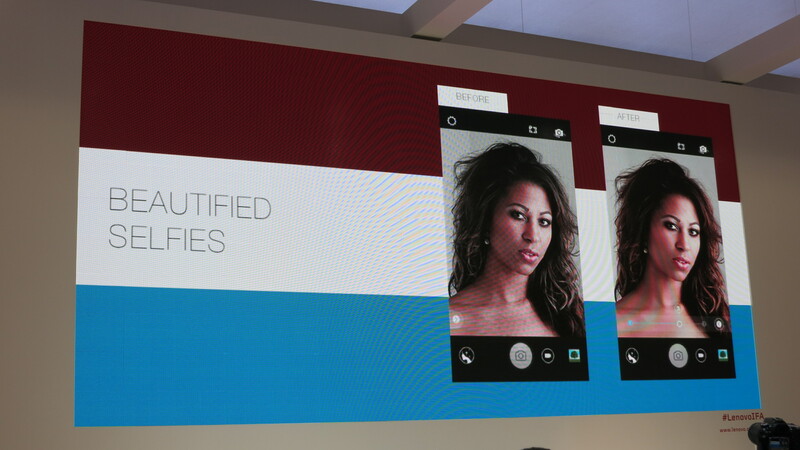 A 27″ model will also be available. The device comes with 60 games and apps installed which does raise concerns of bloatware, but there do appear to be some genuinely useful additions too. The ‘Aura UI’, specifically designed for the horizontal touchscreen has a ‘spinner’ look for accessing features. 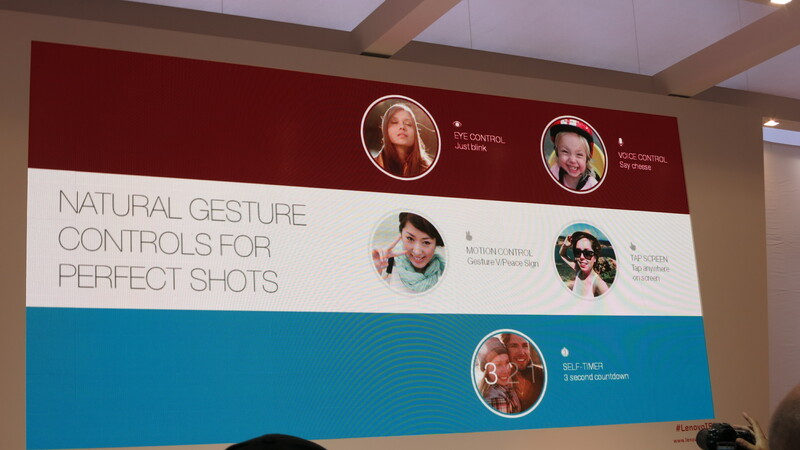 A nice addition – that failed completely in the demo – allows you to take picture on a Lenovo phone, shake the phone and have it appears on the Horizon desktop, to be manipulated with multi-touch gestures. Next up came one of my favourites, the Thinkpad, specifically the refreshed Helix convertible laptop for business users. Lenovo pitch is as the best business class 2 in 1 in the market. It does do everything – LTE, digitiser support, tablet mode, laptop mode, desktop mode… it’s designed to meet all the requirements of not just individuals but also the IT dept. A clever quick shot cover is included for use in tablet mode – simply fold down the corner of the cover, and the camera comes on ready to take a picture.